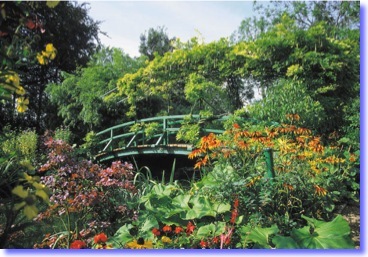 Giverny, a name now famous because of the residence chosen by a great artist. It was there that Claude Monet decided to seule in April 1883. 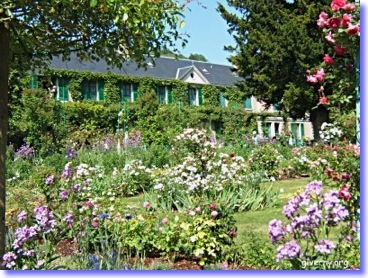 "I am filled with delight, Giverny is a splendid spot for me… ", he wrote, scarcely one month after moving there. The house and gardens of Claude Monet are open from April 1st to October 31st, from Tuesday to Sunday. Over a century ago, a colony of American impressionist artists settled in Giverny near the house of Claude Monet. Following their footsteps, the Musée d’Art Américain Giverny invites you to discover American art from 1750 to nowadays, with new exhibitions every year. One hour by car from Paris. Motorway A13 from “Porte d’Auteuil”. Exit n°14. Direct trains are available daily from Paris-Saint Lazare station, almost every half hour, to the city of Vernon. The duration of the trip is 45 mn to 1 hour. Vernon is located only 4 KM from Giverny ; shuttles and taxis are available at the train station. Frequent return trains are also available daily from Vernon. The price for a round trip train ticket in First Class is roughly 40 €. Departure everyday. Duration 5 hours. Pick-up and return at the hotel with minivan. Shared visit for small groups. The price is 114 € per person. 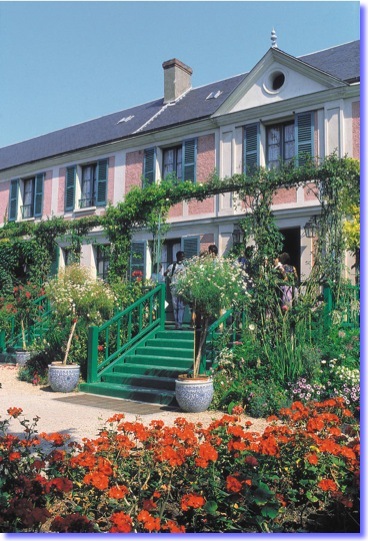 Visit of the Monet’s home and his gardens famous for their water lilies, his workshop, the pond with the Japanese bridge and the picturesque world of of the impressionist painter. Entrance tickets included. Visit to the American Art Museum before you return to Paris. Old mill by the Epte which Monet undoubtedly have liked when he visited from the neighbouring Giverny; no water lilies but a pleasant country setting. traditional fare. Prices 40 - 60 €. Scarcely 10 minutes from Giverny.